The Mighty Mojo Prophets are out of California. It’s not that west coast swing though, it’s real primal. Basically, the MMP cover all the blues bases .. there’s some good songs on here. Singing and playing is not flashy but it is traditional blues done well and has a good feel. I like their songwriting and vibe. Vocals are not flashy, but they do a good job with it. The CD package is great, Delta Groove does it up right. The production on this though is dry and there’s a lot of midrange .. which takes some of the life out of it to my tastes. This is one of those bands that I think would be “better than the record” live. 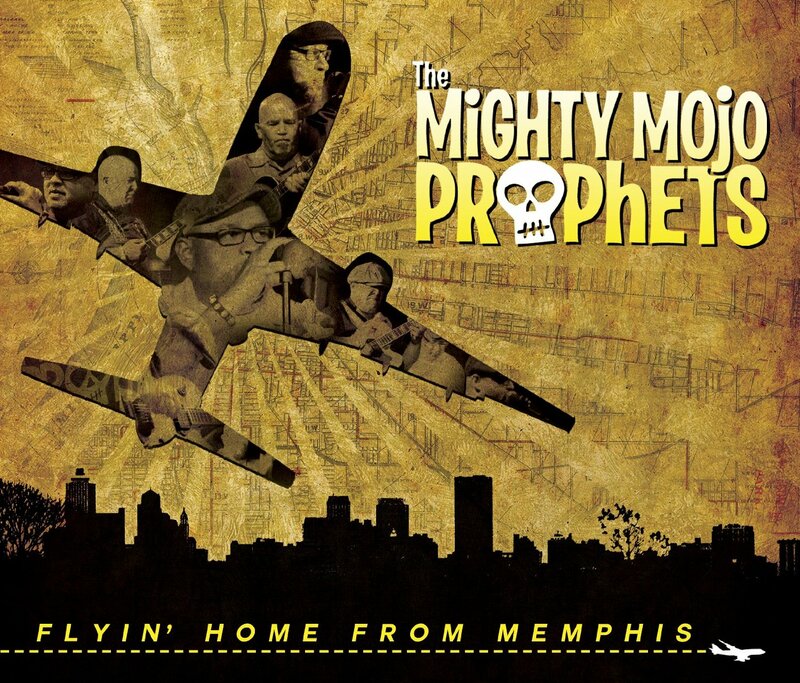 Hot off the heels of their 2012 Blues Music Award nomination for Best New Artist Debut, The Mighty Mojo Prophets return with their sophomore release on Delta Groove Music. Flyin’ Home From Memphis includes 13 skillfully written and wonderfully performed songs, composed by vocalist Tommy Eliff and guitarist Mitch Dow. This collection stands out as a refreshingly original take on traditional roots styles in a sea of ‘the same ol’ thing’.